You don't want to miss this one! Open concept Kitchen and dining with easy flow to the living room. Patio doors lead to the large deck which features stairs to the fenced in backyard (has two gates to enter front yard) with 2 storage sheds and a bonfire area. 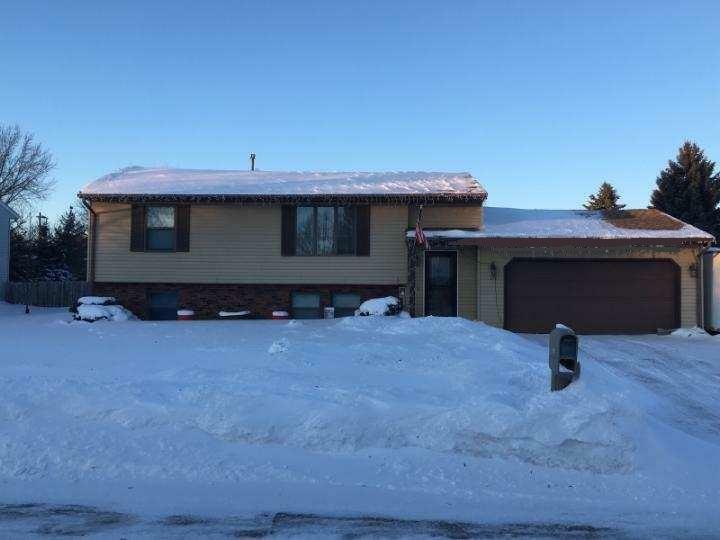 Freshly painted home, laminate floors, 2 car attached HEATED garage with storage. Lower Level has the 3rd bdrm (or office), full bath and two rec room areas, one with a wet bar! 8' ceilings, gas convection stove, newly landscaped, furnace/Central Air new in 2012. Deck was stained in 2018.